Houston, TX /PRNewswire/ - Water Standard and its produced water subsidiary, Monarch Separators, are strengthening their focus on the unconventional oil and gas space with a recent upgrade to their H2O Spectrum® platform technology. Now, this innovative water treatment platform provides operators a wide spectrum of affordable produced and flowback water treatment options from disposal, to recycle and reuse, or treatment for safe surface discharge. As environmental concerns over water usage and availability continue and the volumes of produced water grow, Water Standard has responded by adding a low-cost alginate flocculant, coupled with Monarch Separators' unique separation technologies to advance the H2O Spectrum® platform. The platform offers higher performance while remaining cost effective, which Water Standard understands is a key driver in the unconventional market. Lisa Henthorne, Chief Technology Officer at Water Standard says, "With over 3 million barrels of water being produced every day in the Permian basin alone, we know it's getting tough to manage the volumes, especially if operators are reliant on disposal alone. 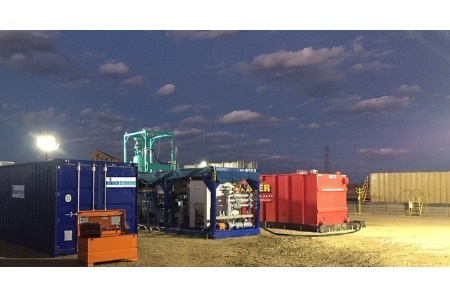 We've performed extensive testing of our H2O Spectrum® platform throughout the U.S., and are currently active in the Permian, Denver-Julesburg, Delaware and Powder River basins. The results speak for themselves with recycle and reuse options of under 7¢ per barrel (all-in chemical costs) and safe surface discharge solutions for under $1per barrel (all-in equipment and chemical costs). These lower costs allow operators the flexibility to reuse the water within their frac operations or opt to discharge the water safely back into the environment for other uses." 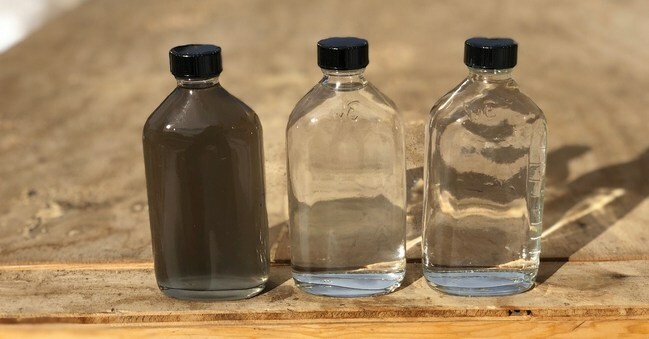 Performance from testing a range of challenging inlet water quality with turbidity up to 700 NTU have resulted in treated water for reuse and recycle with turbidity of <2-4 NTU, oil in water down to less than 2 mg/L and iron removal to less than 1 mg/L. For more extensive surface discharge treatment, the H2O Spectrum® platform boasts 100% BTEX and TOC removal along with 99+% salinity reduction and the successful accomplishment of passing the Whole Effluent Toxicity (WET) tests required for safe surface discharge. "The success of our testing has resulted in collaborative partnerships with large E&P operators, midstream companies and various water treatment service providers to reduce salt water disposal and the subsequent loss of freshwater resources. Reusing the water for operations or treating it to levels that allow the water to be returned to the water cycle is at the heart of what we do," added Lisa Henthorne. Water Standard is a global water treatment specialist and recognized leader in delivering innovative solutions and services to the energy industry. The company specializes in compact modular systems and mobile onshore and offshore facilities, offering flexible contract options for products and services ranging from specialized engineering and design, to the supply of turn-key and rental systems. Water Standard's produced water subsidiary, Monarch Separators, focuses on the design, engineering and manufacturing of separation technologies for the removal of oil and solids from produced and flowback water globally in the energy industry. For more information, visit: www.waterstandard.com.